You don't see the words "Vita" and "games" next to one another very much these days without the words "doesn't have any" between them. But a few new titles for Sony's powerful handheld were quietly announced today. We already knew that the Vita game Dokuro was coming to the U.S., but newly formed publisher branch GungHo Online America has also announced that it will localize the action game Picotto Knights for release next year. Looks Like The Cool Japanese Vita Puzzle-Platformer Dokuro Is Coming To The U.S. There's also Earth Defense Force 2017 Portable, a neat-looking cooperative shooter. 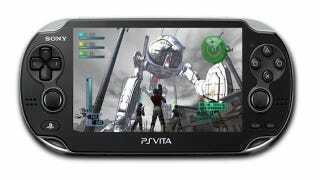 PS3 strategy-RPG Rainbow Moon is also getting a Vita port, its publisher said today (through IGN). Not bad, Vita. Not bad at all.